Ljubljana, Lake Bled Castle, Zadar, Sibinik, Split, Korcula, and more to come…as one travels in Slovenia and Croatia one hears the same story repeated about the castles and city walls. 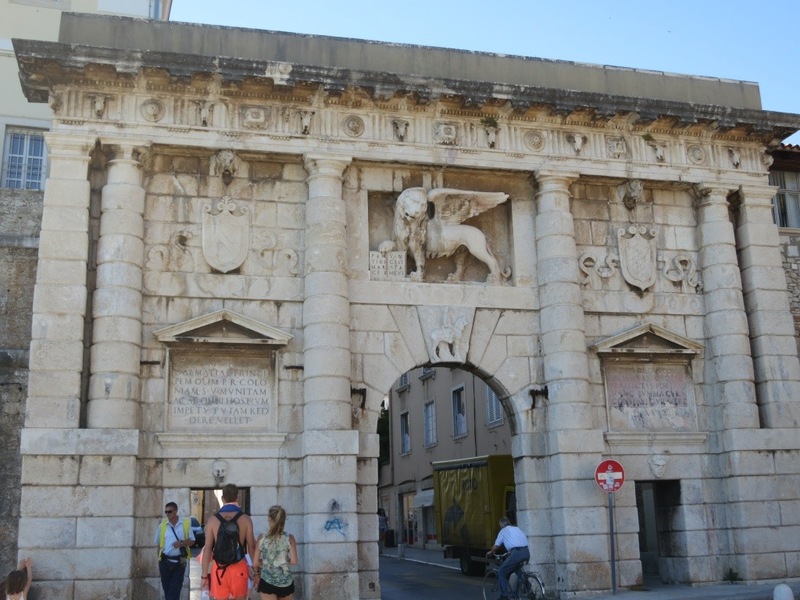 “These were built in the fifteenth century to defend against the ‘Turks’.” The Venetians funded many of these defenses – they controlled many of these Dalmatian towns at that time. From their point of view, it seems, they were fighting their primary enemy. From the Ottoman view, however, this was one of many fronts. They were simultaneously pursuing the Arabs, the Russians, the Poles-Hungarians, and they were looking toward the Persians. The Croatian walls were a primary seed of the concept of “antemurale Christianitatis” – that Croatia (or another area, like Austria-Hungary later) is the bulwark against the non-Christians. Some scholars consider this the “antemurale myth” – that a certain nation serves the special purpose of defending against the infidel. This idea, interestingly, can co-exist with another idea I have encountered as still alive in this region: the habit of one people to define the people just to their east as the beginning of the East. Thus the Italians would see the Slavic (though Catholic) Croats as the East, and themselves as antemurale Christianitatis. The Croats would see the Orthodox Serbs as the East, and the Serbs would see the Turks as the East. Professor Milica Bakić-Hayden of the University of Pittsburgh defines this tendency as “nesting orientalisms,” working off of Edward Said’s concept of orientalism. I have heard Croats explain that they are more Western in their attitudes, and the Serbs more eastern – so this idea is alive and well. 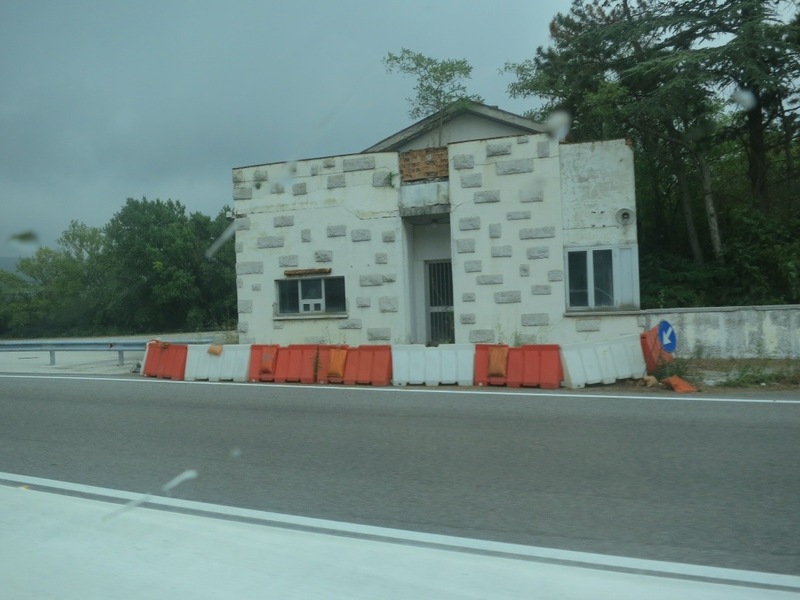 As we drove from one part of Slovenia to another, we crossed briefly through a slice of Italy. The border is marked by a sign and several abandoned checkpoint buildings. For those not used to thinking historically, this may seem like old news – after all, the EU has been a fact for a while, and recently has been more criticized than praised. Just 70 years ago, however, Italy was running brutal concentration camps in Slovenia. This open border without occupation is both unprecedented and a great boon for the well-being of all in the region. 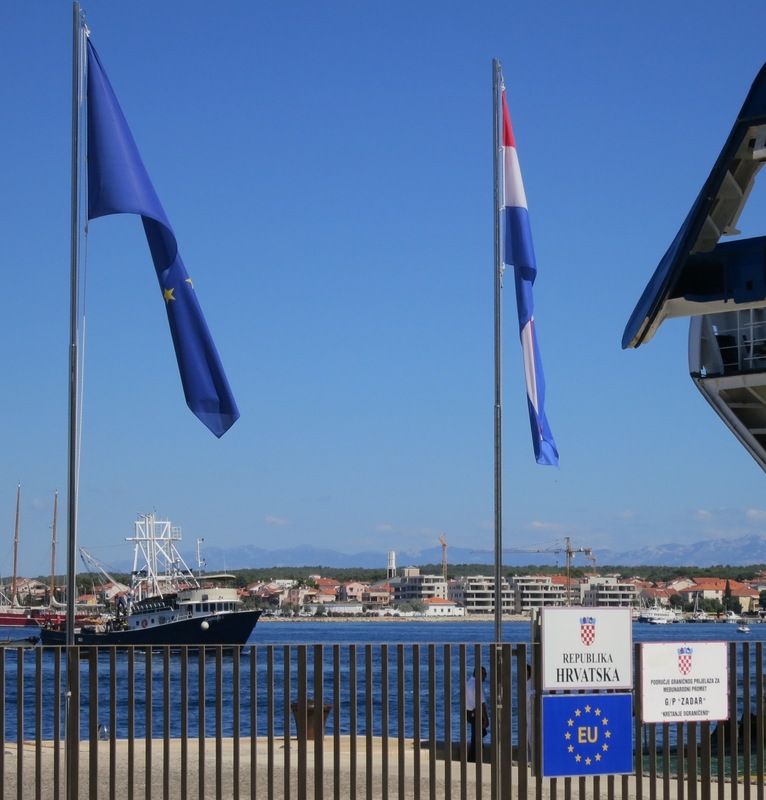 Meanwhile, Croatia has recently been admitted to the European Union, though it has not yet become a member of the “Schengen” customs union, as Slovenia has. Thus the crossing between the two requires a (fairly gestural) stop, which will disappear in 2015 or so, when Croatia is admitted to Schengen. While a young Croatian I spoke with is worried that EU membership will turn them into Greece, again my bias is that less nationalism is better. Reinforcing my belief in the need to transcend nationalism are the various stories of the siege of Zadar by Serb forces in the 1991-95 war. It is strange to live in and walk these streets and imagine this beautiful seaside town without electricity or sufficient food and medical supplies, intermittently shelled.